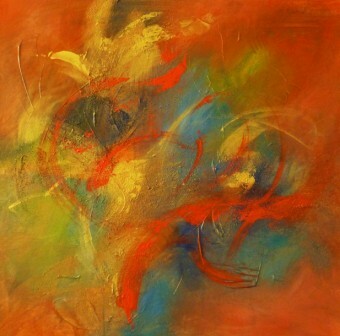 The beauty of abstract is that people can come away from a painting with different views. A neighbor said that she sees a flower blooming. Another says she sees koi. To me, I see both. This painting was exhibited at the Thai Recipes Restaurant in February, 2011 for the Davis Second Friday Art About.